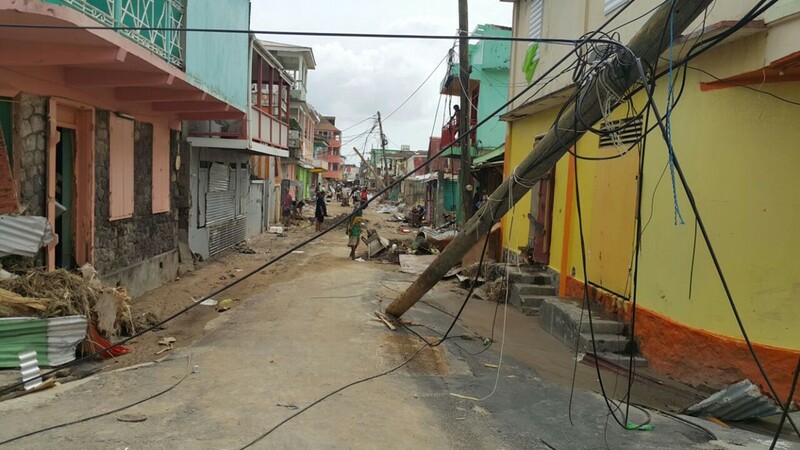 View of damage caused by Hurricane Maria in Roseau, Dominica, on September 20, 2017. 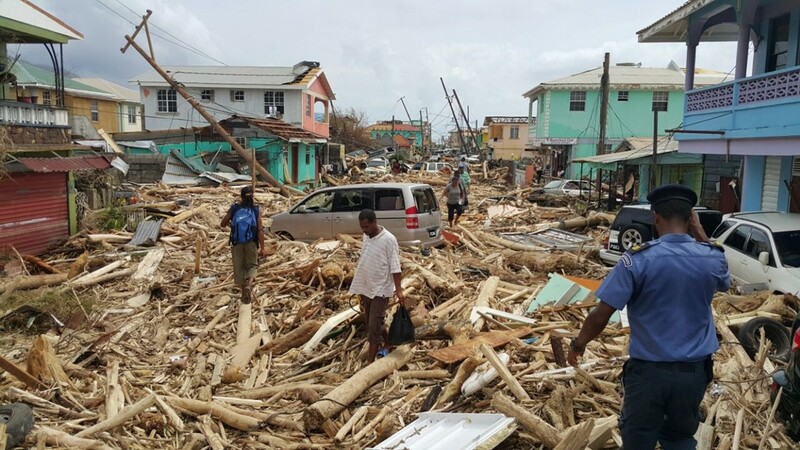 Hurricane Maria smashed into the eastern Caribbean island of Dominica on Tuesday. 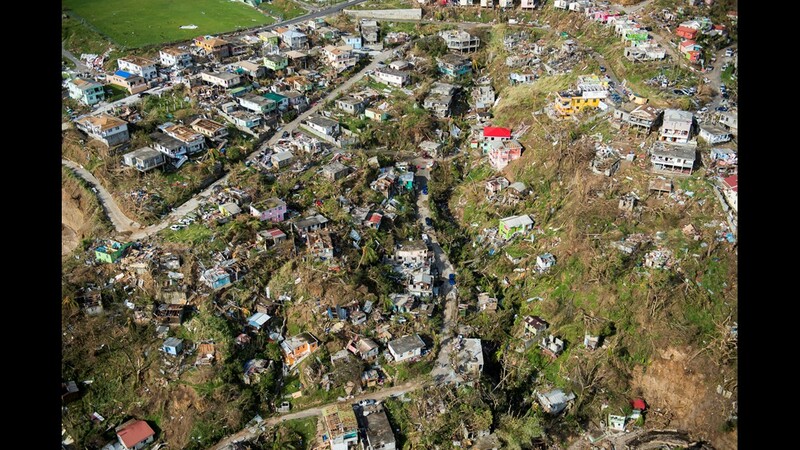 An aerial view of Roseau, capital of the Caribbean island Dominica, shows destruction September 21, 2017, three days after passage of Hurricane Maria. 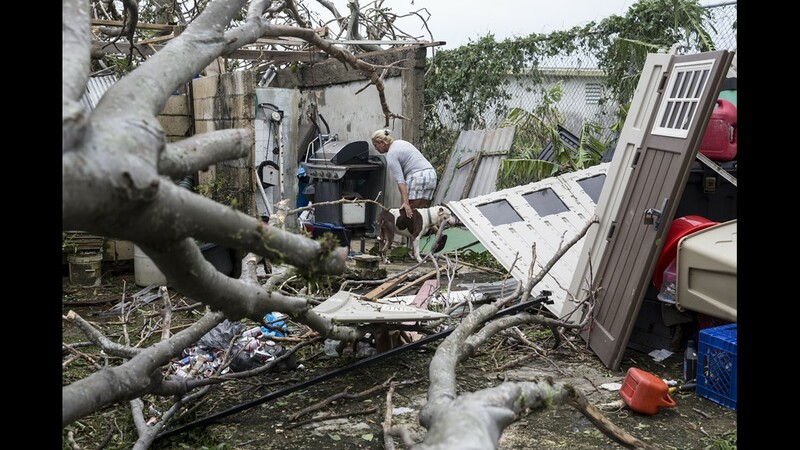 A resident surveys the damage on her property after Hurricane Maria made landfall, September 21, 2017 in the Guaynabo suburb of San Juan, Puerto Rico. 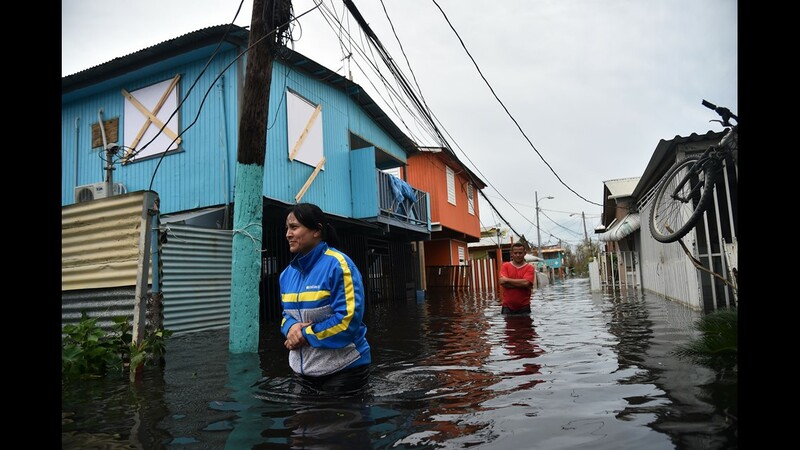 People walk accros a flooded street in Juana Matos, Puerto Rico, on September 21, 2017 as the country faced dangerous flooding and an island-wide power outage following Hurricane Maria. 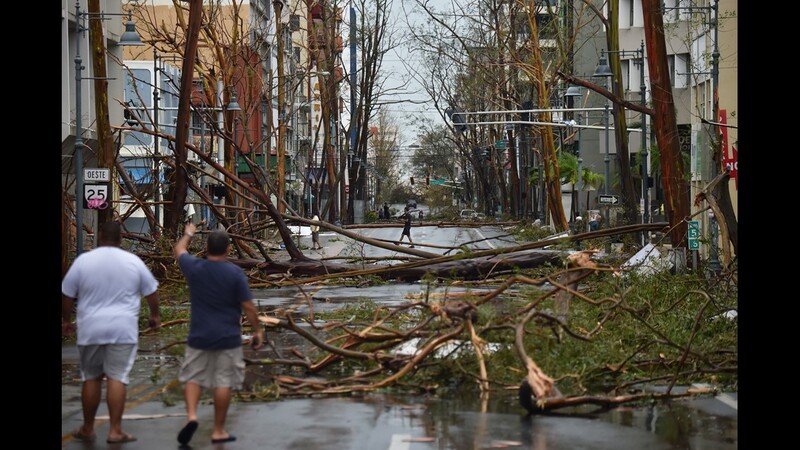 Men walk damaged trees after the passage of Hurricane Maria, in San Juan, Puerto Rico, on September 20, 2017. 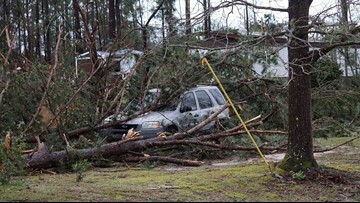 Maria made landfall on Puerto Rico's southeast coast around daybreak, packing winds of around 150mph. 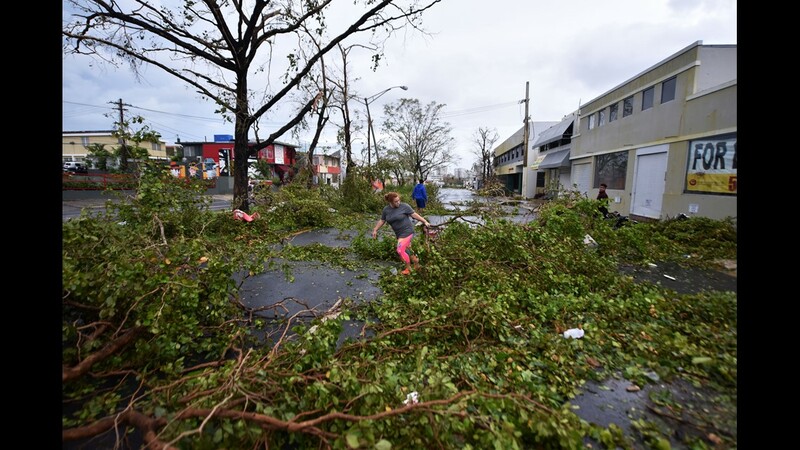 Residents clear fallen debris after the passage of Hurricane Maria, in San Juan, Puerto Rico, on September 20, 2017. 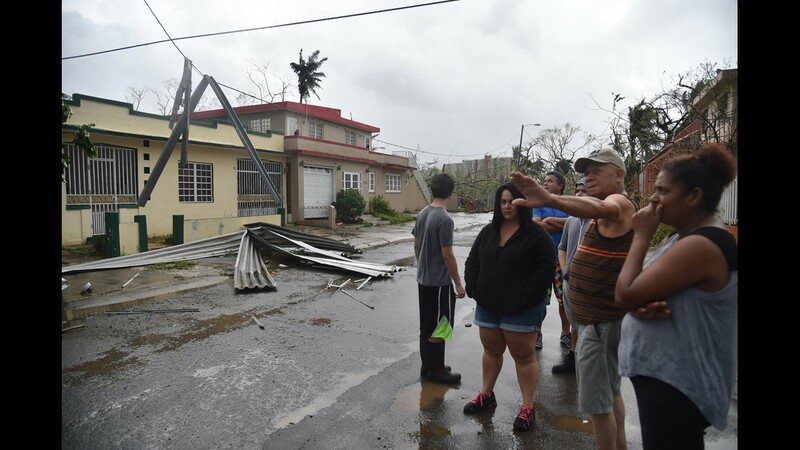 Inhabitants of Puerto Nuevo neighbourhood stand next to roof blown off during the passage of Hurricane Maria, in San Juan, Puerto Rico, on September 20, 2017. 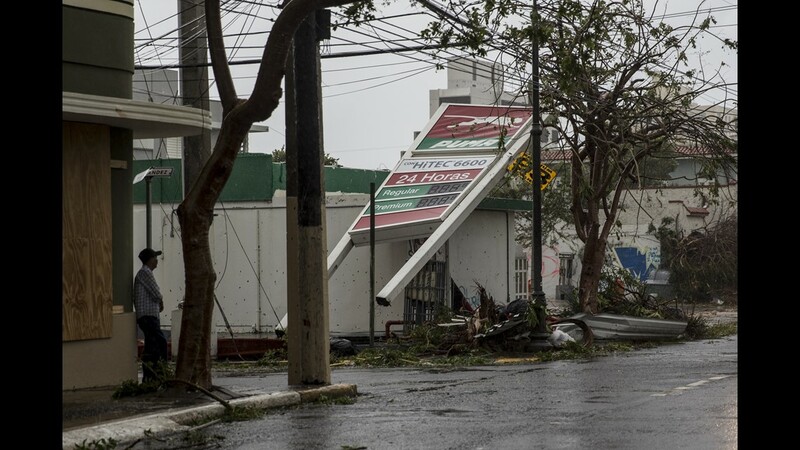 A fallen sign sits on a building in the Miramar neighborhood after Hurricane Maria made landfall on September 20, 2017 in San Juan, Puerto Rico. 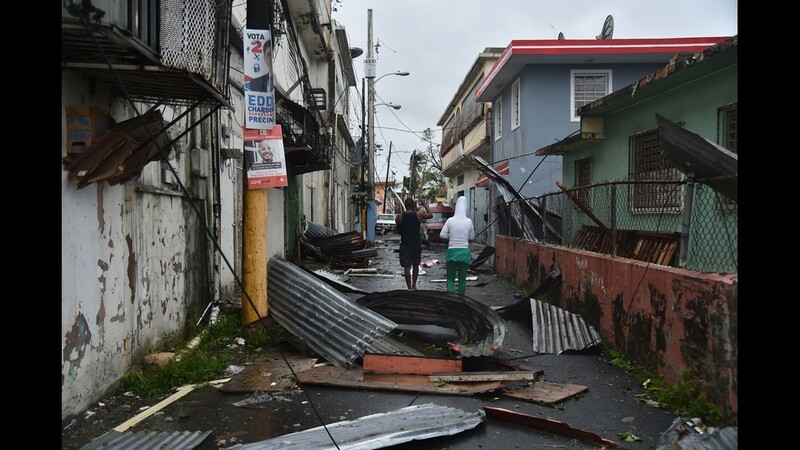 Men walk past damaged homes after the passage of Hurricane Maria, in San Juan, Puerto Rico, on September 20, 2017.